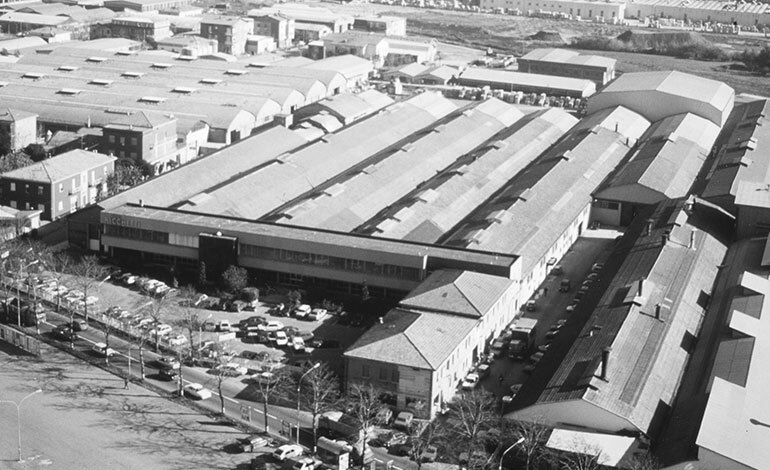 Founded in 1960, the Ceramiche Ricchetti leading company has its seat in Sassuolo in the middle of the “ceramic industries district” located between the provinces of Modena and Reggio Emilia where more than 85% of the tile national production and approximately 15% of the international one take place. Ricchetti‘s entire Italian production of glazed porcelain and monoporosa wall tiles comes from their various plants located in the provinces of Emilia Romagna at Sassuolo, Fiorano and Mordano. The range of products offered by Ceramiche Ricchetti characterised by different typologies, various patterns and refined decorations satisfies the most different needs of the national and foreign markets. The range of products offered is directed to final users, engineers and designers specialised in residential building trade and interior architecture. Ricchetti devotes considerable energy to safeguarding and reinforcing its products’ quality and originality, through continual, constant investment in innovation and the implementation of new production processes. Ricchetti has received Bureau Veritas Certification quality certification. This certification, recognised all over the world, involves the inspection and auditing of products, designs and systems, in relation to in-house standards and national and international compulsory and voluntary norms, to allow issue of a conformity report. All this creates value-added for the company by assisting it in risk management, control of the supply chain and the improvement of socio-economic results. Ricchetti is a member of the Green Building Council Italia, an association that promotes sustainable energy-efficient building practices, which are environmentally friendly and help improve the quality of life through LEED® certification standards.